Peconic Bay Winery has namd Zander Hargrave assistant winemaker, adding him to long-time head winemaker Greg Gove's team. The Hargrave name isn't new to Long Island wine lovers. Zander's parents, Louisa and Alex Hargrave, founded Hargrave Vineyard, Long Island's first commercial winery, in 1973, and Zander's uncle, Charlie Hargrave, has served as vineyard manager at Peconic Bay for over a decade. Born "shortly before the excellent harvest of 1977," Zander told me that "As a child, growing up on a vineyard was much less about the wine than the people who were around. There was always some action to be found." Despite growing up in the vineyard, it was a high school trip to France that really got Zander hooked on wine. "Coming home from that trip in 1994 I began to take a much more active roll in the work on the farm and in the tasting room. I began to really learn about the many varietals we grew. So I worked in every facet of the operation at Hargrave Vineyard, from running tours and tastings, driving the tractor, suckering in the vineyard, picking, pruning, mowing, bottling, and many other jobs in the cellar and lab. I have always loved harvest the most, there is so much energy to be drawn from harvest," he said. He spent the summer of 1996 in the cellar at Chateau Fuisse in Pouilly Fuisse where he learned "a lot about making amazing chardonnay." When his parents sold the vineyard to Marco and Ann Marie Borghese in 1999, Zander stayed on with his sister Anne and worked with them for a around a year to ease the transition. "Then I left the vineyard but it never left me," he says looking back. From there, Zander worked in a variety of non-winery fields -- sales representative for a local newspaper, manager of a horse farm, production manager at Satur Farms, landscaping, and volleyball and tennis coach for Southold High School. He even opened and ran a crepe stand at Harbes Farm and worked at a country club to pay the bills while getting his Masters degree in education at Stony Brook University. Zander student taught at Longwood Junior High School and Center Moriches High School and subbed throughout the Longwood school district for two years until his uncle called looking for help in the vineyard. Since then, he's filled a variety of rolls -- mainly in the vineyard and cellar -- at Peconic Bay Winery. He's even earned the unofficial title of "Cider Czar" taking on the winery's new hard cider program. "I am thrilled to be a part of the Peconic Bay Winery family, working alongside my mentor Greg Gove and uncle Charlie. 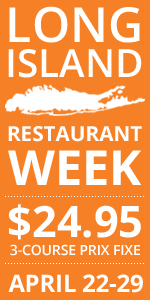 Paul and Ursula Lowerre are terrific, supportive owners and Jim Silver is a creative genius. I am truly fortunate to be working in a job that I love surrounded by people I trust." 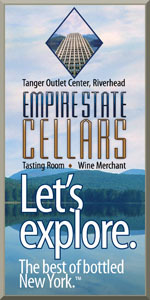 Speaking of Jim Silver, let let me know that he's revamped the winery's distribution channels, turning to Empire Merchants (Metro New York), Empire North (Upstate New York), CDI (Connecticut), and R & R Marketing (New Jersey). Distribution can be a challenge for New York wineries, but Silver said "we're about to light the afterburners on our wholesale distribution in the tri-state area, I couldn't be happier."